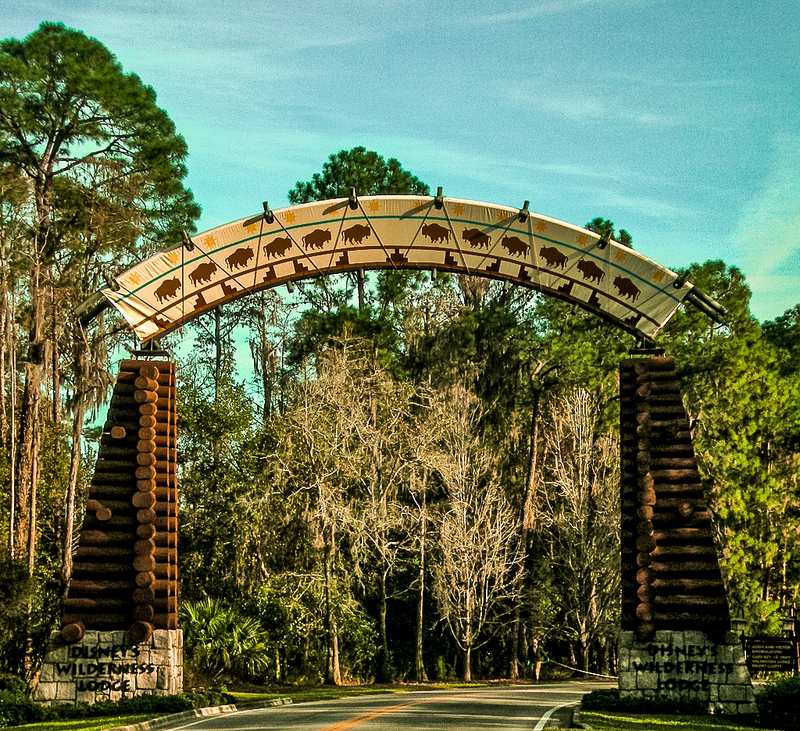 Did you know that Disney’s Wilderness Lodge is the only Disney Resort with a backstory? That’s right! Wilderness Lodge has a backstory about how it originated. Early on, guests would get a Silver Creek newspaper that told the story of Silver Creek, the geyser, and other stories about the resort. The backstory and all the intricate details of Wilderness Lodge (did you know the lobby fireplace was modeled after the layers of the Grand Canyon and Disney even brought in a paleontologist to get it right? ), along with the Western theme of the resort make this one of our favorite Disney Resorts. In addition to the beauty and intricacies, Wilderness Lodge lies just off the Monorail track for the Magic Kingdom. This means it’s just a short boat or bus ride to the Kingdom, without paying for an “on Monorail” resort. There’s also plenty of Disney dining options at Wilderness Lodge that includes a quick service option, Whispering Canyon Cafe, and the signature table service restaurant, Artist’s Point. Disney modeled Wilderness Lodge after the lodges at Yellowstone National Park, so walking into the rooms immediately transports you to a Western lodge with lots of wood and wildlife. Remember that backstory about the town of Silver Creek? 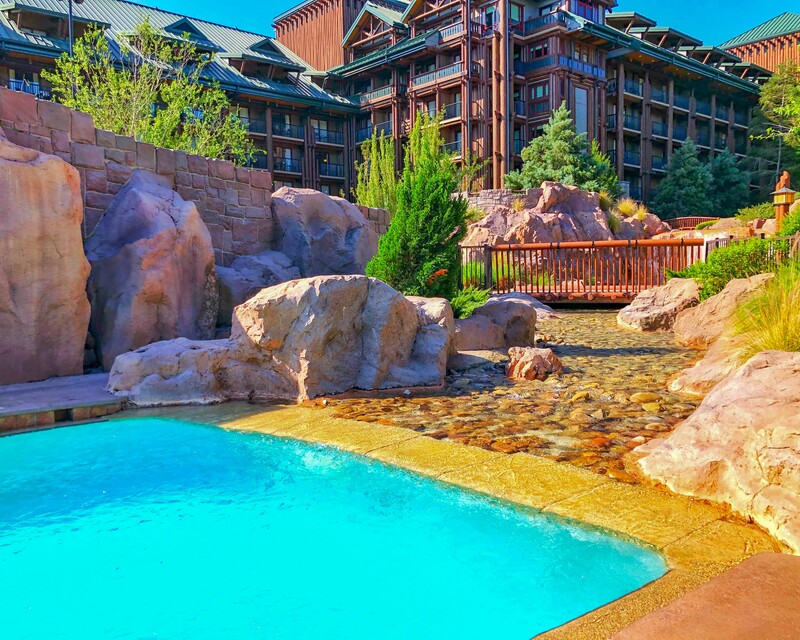 Well, that creek (Copper Creek) flows out of the Lodge and creates the main pool at Wilderness Lodge. The pool features a 67-foot water slide and hot or cool whirlpool spas with a view of Bay Lake. The pool also has a newly added children’s play area. If you get hungry from all the swimming, you can stop by the Geyser Point Bar & Grill for some eats. You can also take a walk around the pool and Bay Lake on the beautiful boardwalk at Wilderness Lodge. Wilderness Lodge offers several dining options, including a Signature Table Service option. The Roaring Fork provides the standard quick-service Disney fare of burgers, sandwiches, and drinks. Of course, you can also get those iconic Mickey waffles at Roaring Fork in the morning. Want a fun-filled meal? Look no further than Whispering Canyon Cafe. Need some ketchup? Ask away and every bottle in the restaurant will be on your table. 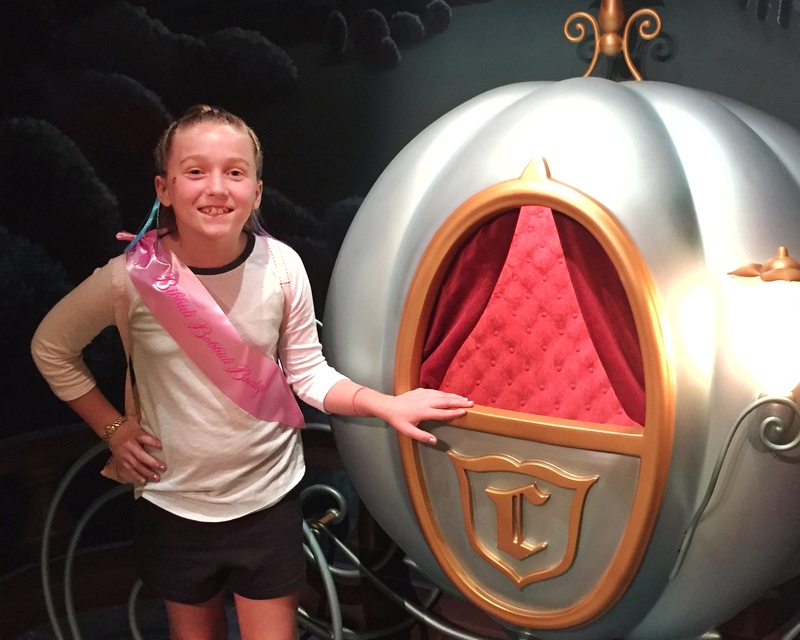 Just one of the unique experiences at this sit-down Disney dining offering. 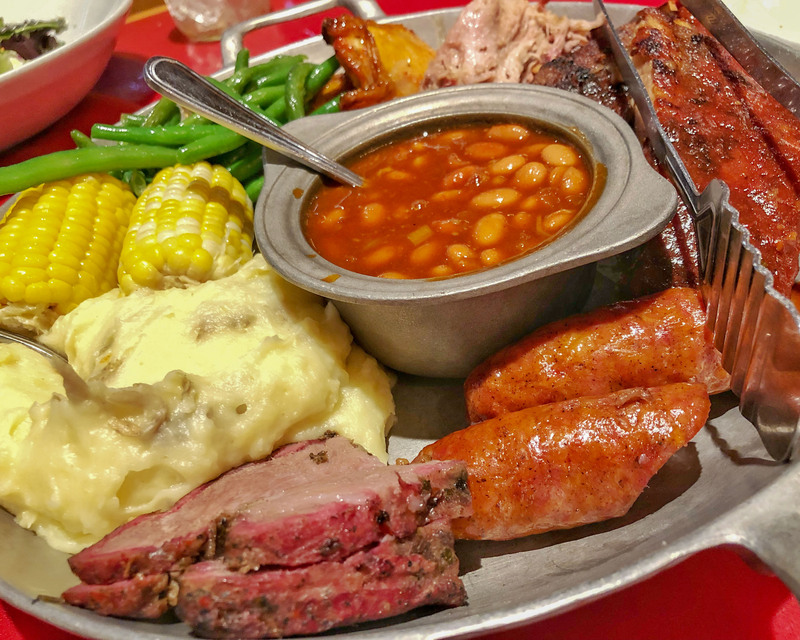 We enjoy one of Whispering Canyon’s bottomless platter offerings, for dinner. A Disney Signature Service table dining option, Artist Point offers a Pacific Northwest menu with many unique entrees, including venison, wild boar, and buffalo. Enjoy dinner while admiring panoramic views of Bay Lake and Copper Creek Falls, or retreat to the outdoor terrace and soak in the beauty of Disney’s Wilderness Lodge. Copper Creek Cabins & Villas offers the newest option from Disney Vacation Club. Copper Creek Villas & Cabins at Disney’s Wilderness Lodge, the newest addition to the Disney Vacation Club portfolio, delivers a new frontier for magical vacations where the comforts of home and the wonders of the wilderness are deeply rooted in the magic of Disney. 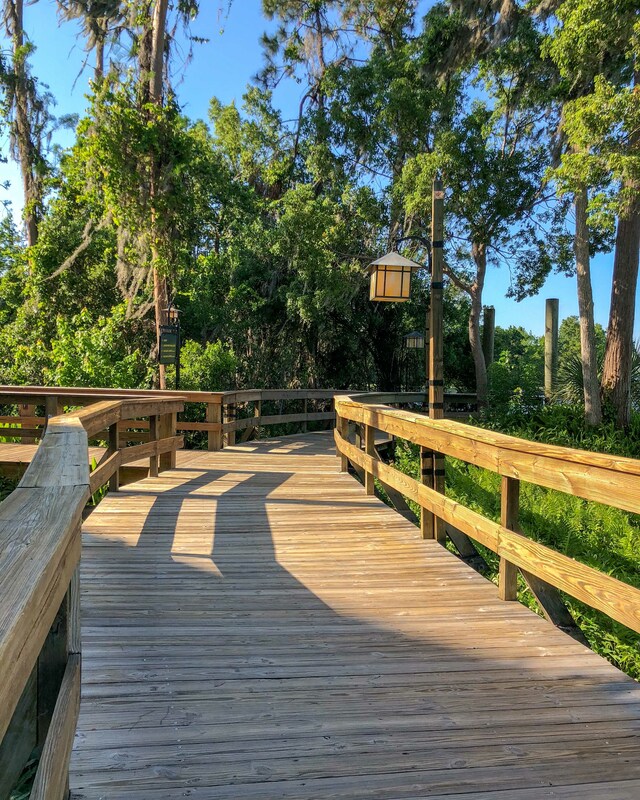 Nearby the shores of Bay Lake, the new Villas and Cabins are steps away from world-class amenities available at Disney’s Wilderness Lodge and just a boat ride away from the enchanting Magic Kingdom Park. Offering the widest range of accommodations found at Walt Disney World Resort, Copper Creek Villas & Cabins features 184 vacation homes, including Deluxe Studios, one- and two-bedroom Villas, and three- bedroom Grand Villas, which sleep up to 12. Each unit is thoughtfully designed with today’s families in mind. One-bedroom Villas or larger offer the added convenience and many of the comforts of home, such as well-appointed kitchen areas, expanded storage space for belongings and private patios or balconies with scenic views. Natural finishing touches throughout add a sense of nature to each room. NOTE: We will be visiting the new Copper Creek Cabins, next week and will update this post with our experiences.